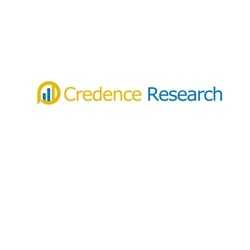 According to a new market report published by Credence Research Global Benzyl Alcohol Market- Growth, Future Prospects & Competitive Analysis, 2017 – 2025, the Global Benzyl Alcohol Market is expected to reach US$ 282.3 Mn by 2025, expanding at a CAGR of 4.2% during the forecast period 2017 – 2025. Benzyl alcohol demand is projected to gain impulse with increasing demand from end use industries. Benzyl alcohol is used in manufacturing of paints, inks, and epoxy resins and as a paint stripper. Growing demand for paints and coating with rapid infrastructural developments in emerging economies such as India, China and Brazil is projected to drive the demand for benzyls alcohol over the forecast period. Further, growth in disposable income of middle class impelling the demand for automobiles which is subsequently fueling the demand for paints and coatings which in turn is driving the demand for benzyl alcohol. Paints and coating application accounts for major share of the global benzyl benzoate market. Thus, growing paint and coating industry is anticipated to drive the demand for benzyl alcohol over the forecast period. Besides this, increasing use of benzyl alcohol as an anti-parasite medication used to treat head lice. It is also used as a common preservative in many injectable drugs. Benzyl alcohol is also finds application in perfumery and flavoring. Thus, growing array of application of benzyl alcohol in various end use industries is projected to drive the demand for benzyl alcohol over the period. However, toxic properties of the benzyl alcohol is expected to discourage the use of benzyl alcohol which in turn projected to hamper the growth of benzyl alcohol market over the forecast period (2017-2025). Global benzyl alcohol market is segmented on the basis of application and geography. Based on application, paints and coating application segment accounted for the largest share in global benzyl alcohol market. Growing demand for paints and coating due to growing urbanization and infrastructural development along with increasing demand for automobiles is projected to drive the growth of the segment. On the basis of geography, North America was estimated to be the largest market for benzyl alcohol in 2016 and projected to maintain its dominance during the forecast period. Growing demand from end use industries such as paint & coating, pharmaceuticals and personal care industries is projected to drive the growth for benzyl alcohol market. Benzyl alcohol market is mainly dominated by two major players Hubei Greenhome Fine Chemical Co. Ltd. and Emerald Performance Materials. Thus, major player are investing in research and development, merger and acquisition with focus on improve their product portfolio and market penetration. Overall, global benzyl alcohol market is anticipated to register significant growth over the forecast period (2017-2025). Kommentar hinterlassen on "Benzyl Alcohol Market Is Projected To Reach US$ 282.3 Mn By 2025"